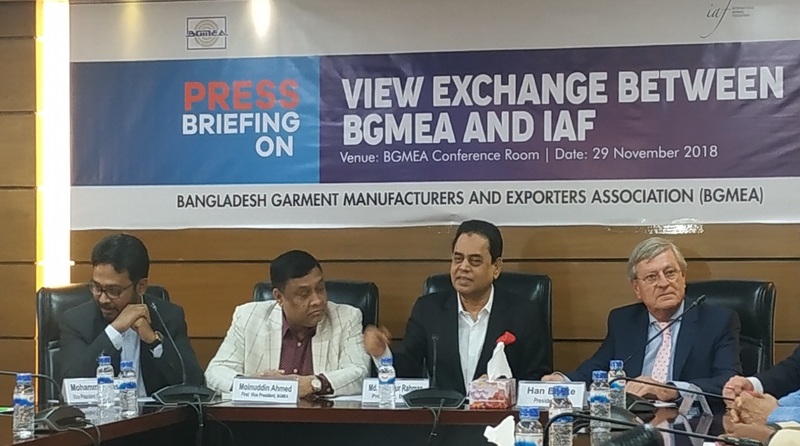 Bangladesh Garments Manufacturers and Exporters Association (BGMEA) on Thursday held a view exchange meeting with International Apparel Federation (IAF) here at BGMEA Bhaban. Following the meeting, they held a press briefing on their collaboration and plan for the betterment of country's RMG sector where officials of both sides were present including IAF President Han Bekke. BGMEA president M Siddikur Rahman said his organization and IAF had a wonderful discussion on their mutual collaboration for taking the industry forward. "Over the past 4 years our production costs have jumped up to 30 percent while minimum wage rose up to 381 percent since 2010, all of which are adding with the production expenditure," he said. 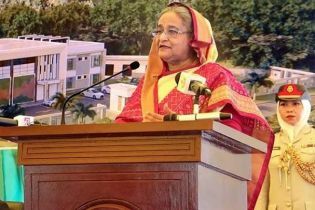 The BGMEA head also said that despite investing a large sum of money to ensure workplace safety over the past five and half years by the factories, the prices of the products have declined. "Building a viable industry requires viable pricing. 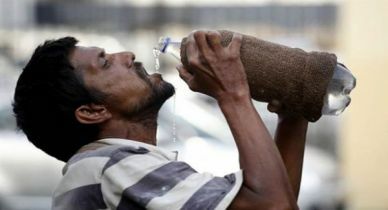 We want to draw attention of our western buyers to this fact with the help of IAF," Siddikur said. Although Bangladesh made significant progress in building a safe environment for RMG workers since Rana Plaza tragedy yet the western media continue to ignore while IAF chief has praised our efforts and remarked that it needs proper media attention, he further said. 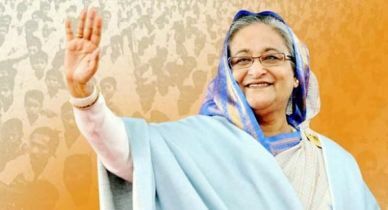 "We will hold separate events in Europe and Dhaka to state our progress," said the BGMEA president. BGMEA, IAF and International Textile Manufacturers Federation will work closely for UN/EDIFACT code of conduct, he added. IAF president Han Bekke lauded Bangladesh's progress in RMG sector saying this collaboration with BGMEA is necessary as the industry is facing new challenges worldwide. "We believe international trade is important for us. But dispute between US and China could lead to disruption of international trade of textiles and apparels. The Brexit situation is causing a lot of problems in the EU market too," IAF chief said. He said everyone related to the industry have huge responsibility ahead to make it more sustainable in terms of both social and environmental conditions. Among others present at the briefing, BGMEA Vice-0president (Finance) Mohammad Nasim and IAF Secretary General Mathjis Crietee spoke. 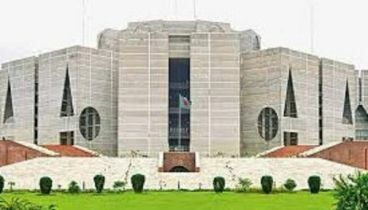 The IAF delegation is scheduled to leave Dhaka Friday.